I’ve been watching ITV’s three-part documentary series that follows the London Fire Brigade. If you haven’t seen it, find it on catch up/ITV Player. It follows the life of one of London’s heroic teams that we take for granted, as they talk about their acts of heroism and extroadinary courage in scenes such as the horror that shocked the world when Grenfell Tower when up in flames. This documentary shows the incredible strength that firefighters face on a daily basis as they run towards what we would run from. It’s distressing, powerful, upsetting, but it really gives you an inside look into the lives of these heroic people. To give a true inside look into the daily lives of the extroadinary people, all the scenes are filmed on cameras that each firefighter is wearing so you get an up close feel of every ounce of emotion as they run towards the buildings. The documentary series follows the Fire Brigade over the last year as they responded to a staggering range of emergencies. It really shows an insight into the work that these heroic men and women face every time they are put in a dangerous situation. The first episode see the firefighters talk for the very first time about the Grenfell fire that devastated the world. At least 80 people are thought to have died in the narrator chillingly says “It’s the U.K.’s biggest loss of life in a fire since the Second World War. The final death toll remains unknown.” The first episode reveals what some of our brave firefighters thought and felt through never-before-heard accounts of that tragic night of the horror that unleashed in the early hours of the 14th June 2017. 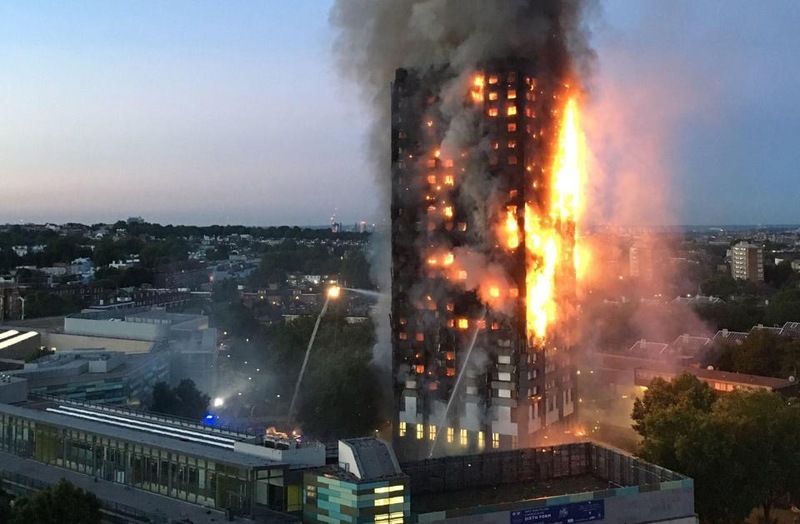 Tragedies on the scale of Grenfell tower are once in the lifetime incidents. But for all of us, an ordinary day can take a dangerous turn at any time. And when it does, the London Fire Brigade is on the front line of keeping over 8 million Londoners safe every day. They deal with over 20,000 fires a year. The Grenfell tragedy isn’t the only one that shocks Britain. The tram crash in Croydon that was the biggest transport incident since the 7/7 bombings and involves a significant loss of life. Hundreds of firefights from across London arrived at the scene. 9 miles away in Battersea, Edric, one of the Firefighters who is documented throughout this episode gathers his team together to head to Croydon in what is the biggest transport tragedy he’s witnessed. ITV’s inside look into the lives of each of them who face the danger and saves the many really makes you think for a second. There’s far too many who take these services for granted. Calling the emergency services for problems that can be solved without calling 999. Each and every one of them deserve a medal, for their incredibly bravery day in day out, in London, across the U.K. and the world. If you haven’t had a chance to watch this amazing series, it’s still available on ITV Player. Definitely tune in.